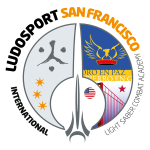 The San Francisco Academy – Ludosport U.S.A. In early 2016 the Founding Masters aimed to bring LudoSport from Europe to the U.S. 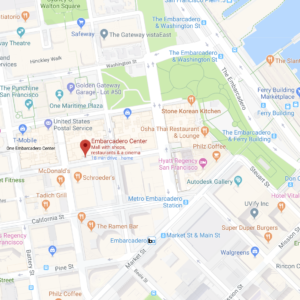 Following the successful San Francisco Awakens event in January ’16, the first LudoSport Instructor’s course was held in San Francisco to train future instructors to teach the sport in the bay area and across the country. 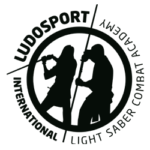 In October the first LudoSport Academy in the US began holding weekly classes where athletes learn to wield their lightsaber and compete within the system created in 2006 in Italy and spread worldwide since then. Roy’s childhood background in martial arts (Kali, Escrima, and Kickboxing) and leisure ballroom dancing after college trained him in the concepts of safety, body dynamics, balance, and breath control. More recently, his experience came to include teaching both one-on-one as well as in groups of all ages between 6 to 76 as an American ex-pat while working in Asia. Now, he instructs pupils in the language of a more civilized age: LudoSport Light Saber Combat. James is a lifelong fan of movies and video games, especially those featuring swords and light sabers. When LudoSport visited San Francisco for the Awakens event in 2016, he jumped at the chance to live out a childhood dream. Hooked from the start, he participated in the first US Instructors Course and became one of first stateside instructors. 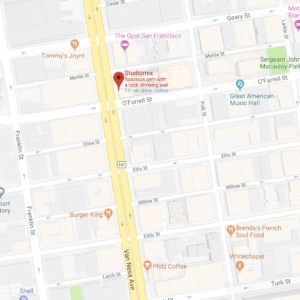 Since then, he helped back the campaign to bring LudoSport to the US, and assisted with the founding of the San Francisco Academy: The Order of the Western Sun. When the academy needed a Master Sabersmith to look after and maintain its armory, he discovered his passion for electronics, and has since taken up building custom sabers as a hobby. Most recently, he passed his second Instructors Course and has begun teaching Combat Style II to the more advanced students. Michael has a background in multiple sport disciplines … running, tennis, mountain biking, kayaking and most recently triathlons. He has completed a 70.3 Ironman, Escape From Alcatraz triathlons, a marathon, multiple half marathons, and multiple olympic and sprint distance triathlons. Being an adult learned swimmer he has an understanding of breaking down training principles into segments that are easy to understand and practice. Shing’s movie/TV geekdom led her to dabble in everything from flying single engine aircraft and motorcycle riding to archery, fencing, and various types of martial arts over the years. 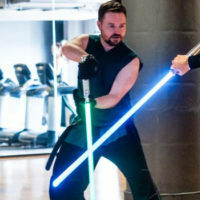 At her first LudoSport class, she was impressed by the technical aspects of the training, as well as the fun and collegial atmosphere inherent in a sport based on light sabers! 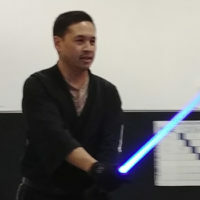 Shing promptly enrolled, becoming the first person in LudoSport San Francisco Light Saber Combat Academy’s second clan, Clan of the Knights of the Gate. 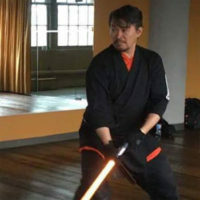 She also signed up for the next available instructor’s course which was hosted by the LudoSport Hawaii Light Saber Combat Academy, and received her LudoSport Form I Instructor Certification in July 2018.